'Zone One': What Happens When Zombies Take NYC Existential loneliness lies at the heart of Colson Whitehead's apocalyptic tragicomedy about post-zombie Manhattan. The smart, strange, engrossing novel lampoons contemporary society and its excesses — and has haunting echoes of post-Sept. 11 New York. "New York City in death was very much like New York City in life," writes Colson Whitehead in his apocalyptic tragicomedy Zone One. "The main difference was that there were fewer people." Living in New York, or in any metropolis, can often drive a person to imagine some dream of a future in which the city's splendor remains but its streets empty out, offering even a moment's peace. Well, good news! In Zone One's post-zombie Manhattan, "the hottest restaurants always had a prime table waiting, even if they hadn't updated the specials since the winnowing of the human race got under way." For Mark Spitz, a volunteer "sweeper" who's making his way through downtown Manhattan building by building, clearing out the last of the monsters who devoured the city from the inside, New York's emptiness matches his own. The provisional government in Buffalo is optimistically "rebranding survival," declaring the remnants of the United States the "American Phoenix" and diagnosing the remaining population with "P.A.S.D.," post-apocalyptic stress disorder. (P.A.S.D. is pronounced "past," of course, as in: "What's wrong with him?" "It's his P.A.S.D.") According to the latest literature, "Survivors are slow or incapable of forming new attachments," but Mark Spitz knows better, darkly noting that this inhibition is actually "a feature of modern life merely intensified or fine-tuned with the introduction of the plague." Always known by that full name (not his real one, but a post-plague moniker bestowed upon him after a disastrous battle on a bridge), Mark Spitz travels with the rest of Team Omega across Zone One — Manhattan below Canal Street — which is protected from the swarming undead by a concrete retaining wall. In each building, Omega kills off the "skels," hungry active zombies, and the "stragglers," brain-dead victims stuck in place who waste away to nothing in a haunting echo of their former lives. (The copy boy, for example, stares blankly at a Xerox machine until he's put down with a shot to the head.) Collection gathers the bagged corpses; Disposal burns them in enormous incinerators next to the wall. The 24-hour ashfall that results is just one of this disquieting novel's canny echoes of post-Sept. 11 New York. After all, Zone One itself both includes, and seems like the natural descendant of, ground zero. 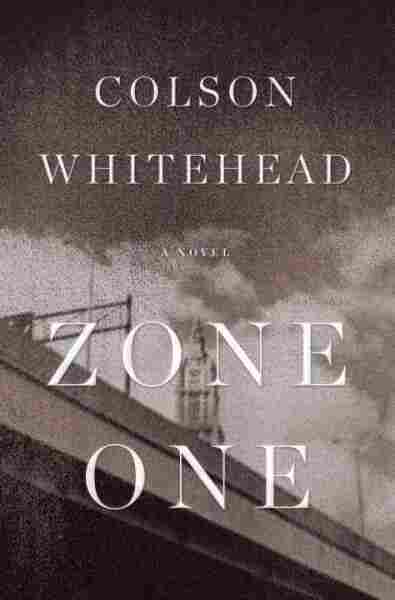 Whitehead, whose previous novels include John Henry Days and The Intuitionist, is concerned with existential loneliness in Zone One, and lampooning contemporary society and its excesses. (It took an apocalypse to silence the gossip magazines and newsweeklies; at last, Whitehead writes, "there was no more gossip and no more news.") But the book also means to deliver the visceral satisfaction promised by Whitehead's gruesome adopted genre, the horror story. At times it does, especially in flashbacks to the days after "Last Night," as everyone calls the moment the infection made itself known. Each story from Mark Spitz's past — a dreadful encounter with his parents, a brief respite in a Massachusetts safe house, the blossoming of a romance in a Connecticut toy store — is gut-wrenching, a story whose ending you can foresee even if you don't yet know the specifics of how it'll all go wrong. "The barricade is the only metaphor left in this mess," a gloomy lieutenant tells Mark Spitz about the Canal Street wall, even as the strain in its rivets and seams begins to show. Zone One is a smart, strange, engrossing novel about the end of metaphors and the way that, as Mark Spitz knows all too well, no barrier can hold forever against the armies of death.